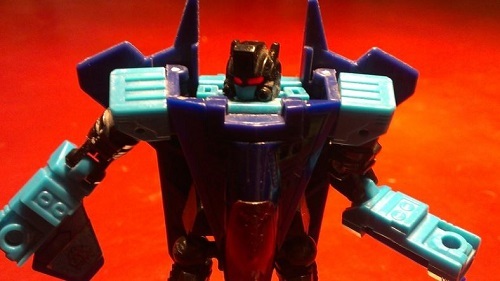 o.supreme wrote: So is getting Thundercracker? Yup, as a non-exclusive to boot! I has to double check myself then to make sure I hadnt dreamt it it's listed as release number 9 in their release list. ZeroWolf wrote: I has to double check myself then to make sure I hadnt dreamt it it's listed as release number 9 in their release list. 14 / SS-13 "Character A"
18 / SS-17 "Character B"
Standalone number is Hasbro's, the SS one is TakaraTomy. No number (N/A) means no release yet. Not saying Thundercracker could never see release in Japan, it's just we haven't heard anything about that. TakaraTomy still does its own thing with the toys, it's just that there are no appreciable differences anymore. Now I am confused as I looked at tformers Plus the evidence in potp that they are getting non-exclusive nem and wreck gar would suggest that thundercracker is not going to be a problem. ZeroWolf wrote: Now I am confused as I looked at tformers Plus the evidence in potp that they are getting non-exclusive nem and wreck gar would suggest that thundercracker is not going to be a problem. Store exclusives are fair game like all regular retail items, but releasing them and how is still up to TakaraTomy's discretion and how they can find proper venues. Main point remains the toys themselves have no differences between the two companies, that's the only thing the whole streamlining has done. The lines are not treated the same, to take PotP again as an example, the toys were released out of order, with the complete combiner teams released in single waves and the retools at the very end of the line. 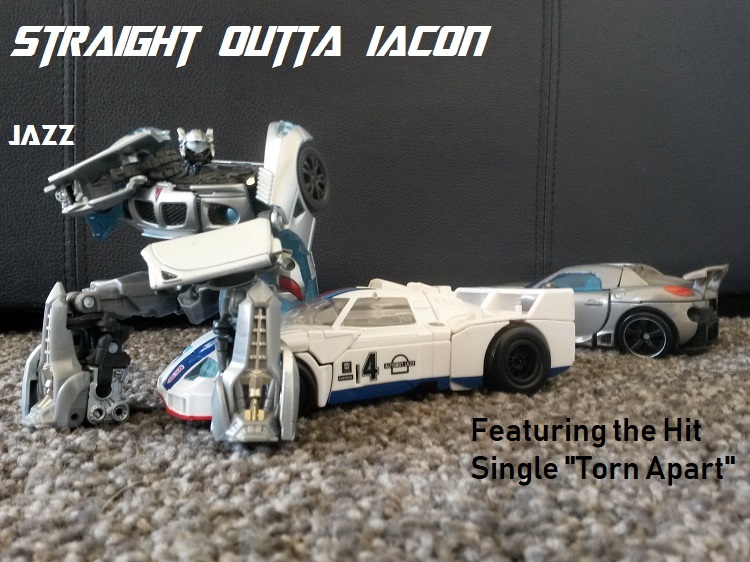 As with Brawl, Megatron and Jazz, while Studio Series wave 2 has hit a few retailers, there is little talk about them. They have yet to reach saturation and their higher prices at several retailers might make them less obvious to own. 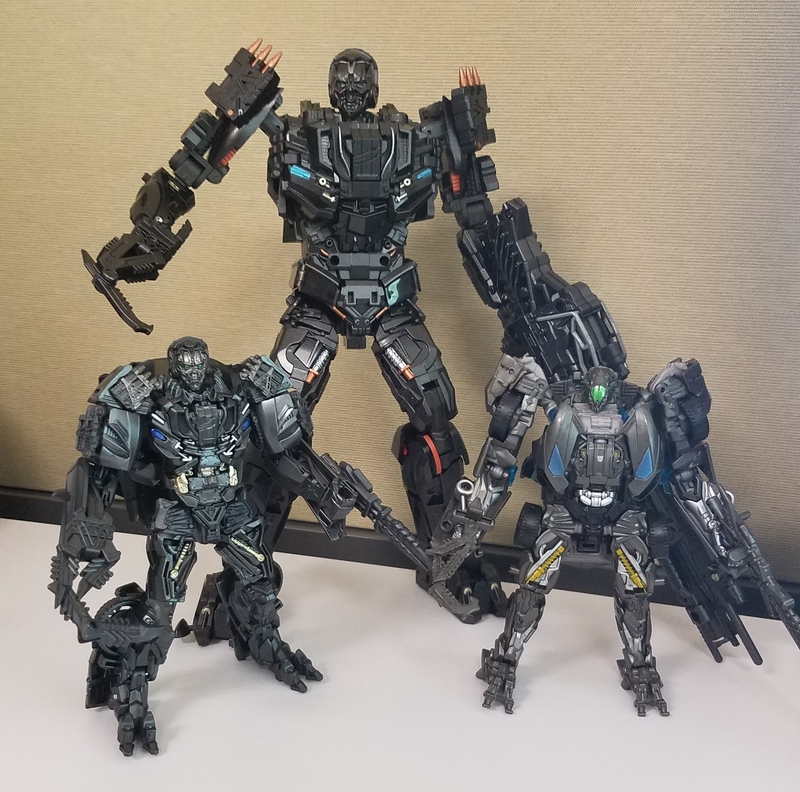 I have a pictorial review for every toy of Wave 2 so far so I thought I would complete that with Lockdown. As with every other toy in this wave (and line), there is a lot to like but it is also far from perfect. The first thing I would like to get out of the way is that unlike what it seemed at first, this is not a tall deluxe. For the life of me I could not find his previous deluxe in my collection bins, so I have a comparison to a bunch of other toys instead to show you what I mean. People had wondered if this was a retool of Cogman but it isn't. It is as similar to Cogman as it is to TLK Barricade, which are all shellformers with the feet in the back and the torso at the front. That is basically where the similarities end. Unlike Cogman, I found Lockdown to have an uninventive transformation for a shellformer. While the backpack does fold into itself, it is still pretty big and definitely takes away from the silhouette the robot mode sculpting promises. It doesn't help him feel more boxy and wide than he should be, which is already conveyed with his truncated neck and wide arms. About the arms, I do not know why they chose to have the upper arm be actual car mode detail rather than sculpting some robot mode detail under that piece and making it face that way. it just looks off. Yes, they do add these flip out robot mode detail launchers and while it is a good idea, it is not done well. They have a very flimsy connection and can easily pop off. The weapons are fine. No gun face, but we do get the hook. We also get a Sword/Blaster (something very common in Age of Extinction) but he cant hold it as a blaster. Both weapons can be hooked onto the outside of the forearms, which is also where they can be hooked on in vehicle mode. The sculpting is clearly the best part though. Too bad the deco doesn't highlight as much as I would like, they don't even paint the Lamborghini symbol split across his chest. While the face sculpt is nice, the expression they gave him is that of massive boredom. To the point that it can really get in the way of a cool scene. I don't have any issue with the car mode. I like that they painted the tail lights but I would have really liked that they gave some detail to the Lamborghini symbol in the front, like they had done with last year's Hot Rod. So in the end it's a great sculpt and cool car mode, definitely better than the previous attempt. However this is still a very typical shellformer at a scale that doesn't really help me. The nice sculpting hides away the fact that this toy doesn't accomplish much aside from looking good in a few areas, making it feel more like a mild improvement over the definite version of a character. Add that to a the lackluster deco and this is another example of a movie toy in the Studio Series line that doesn't feel more "premium" than any other movie toy from previous lines. He is fine but it's not a toy I think I will go back to often (until I have an accompanying Optimus). william-james88 wrote: So in the end it's a great sculpt and cool car mode, definitely better than the previous attempt. However this is still a very typical shellformer at a scale that doesn't really help me. The nice sculpting hides away the fact that this toy doesn't accomplish much aside from looking good in a few areas, making it feel more like a mild improvement over the definite version of a character. Add that to a the lackluster deco and this is another example of a movie toy in the Studio Series line that doesn't feel more "premium" than any other movie toy from previous lines. 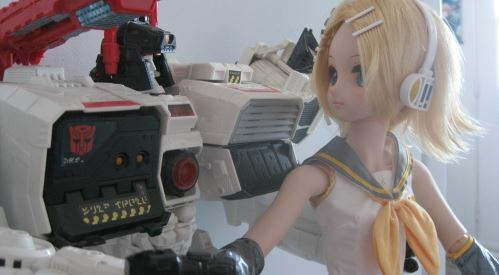 He is fine but it's not a toy I think I will go back to often (until I have an accompanying Optimus). Yeah again I like your photos but I just don't agree with your reviews. I think this Lockdown is a superb figure and a massive improvement over the previous attempt in size, sculpt and proportions and is in my opinion one of the coolest looking bad guy (avoided saying Decepticon cos he's technically not one) Transformers figures ever. flip out robot mode detail launchers and while it is a good idea, it is not done well. They have a very flimsy connection and can easily pop off. How? Mine don't even come off if I try pulling at them or lifting up the whole figure by either one of them. Size difference between old deluxe and studio deluxe and Peru Kill. I actually like the Studio figure more than Peru Kill. While PK does a better job folding away all the car parts, I prefer the look of the Studio figure much more. The old Deluxe just looks like a dork with those bad proportions it has. Like Jazz, Lockdown was another figure I paid £7 over the RRP for just to get it a bit earlier and I have no regrets. Love the sculpt and he looks great displayed on my shelf (with his unique backdrop art) or on my desk when he's my deskbot of the week or so. My photography is crap but I kinda like how one of Jazz's headlights on his shoulder has turned orange from the light shining through Prime's sword. That's neat. Again Jazz posing just fine even without needing the black stabiliser parts folded out. Love this guy, if they were to release a masked variant with guns instead of melee weapons you can bet your aft I'd buy it. A ROTF repaint of the Studio Series voyager Starscream was just officially announced on Hasbros Instagram today. Deadput wrote: A ROTF repaint of the Studio Series voyager Starscream was just officially announced on Hasbros Instagram today. I love the first release of this Starscream mold but I see this RotF version with the tattoos and sawblade I like so much so I'm quite happy buying it again. The Transformers Studio Series line, featuring 'definitive' toy versions of the live action movieverse characters, has already had its Voyager class Starscream appearance (as you can see in our ranking here) - but as hinted at by the Takara Tomy listings found the other day, we may indeed have a second version of the same mold in the line, sporting the tattoo pattern as the previous Leader class figure had for Revenge of the Fallen. Check out the image below, posted today by the Hasbro Pulse Instagram account, and brought to our attention by fellow Seibetronian Deadput - will you be double dipping, or do you have no interest in this redeco of the Decepticon second in command? Let us know in the Energon Pub! Ah so the figure representing Starscream that we all kinda knew was gonna show up (It's a new paint-job, nothing more, easy for Hasbro) has been announced. That one was the obvious repaint. However, having the original SS Screamers plus the DOTM deluxe and HFTD leader, this one is unnecessary for me. When is it out? I need it. And Ironhide. I need that too. "Your message contains too many smilies. The maximum number of smilies allowed is 20." 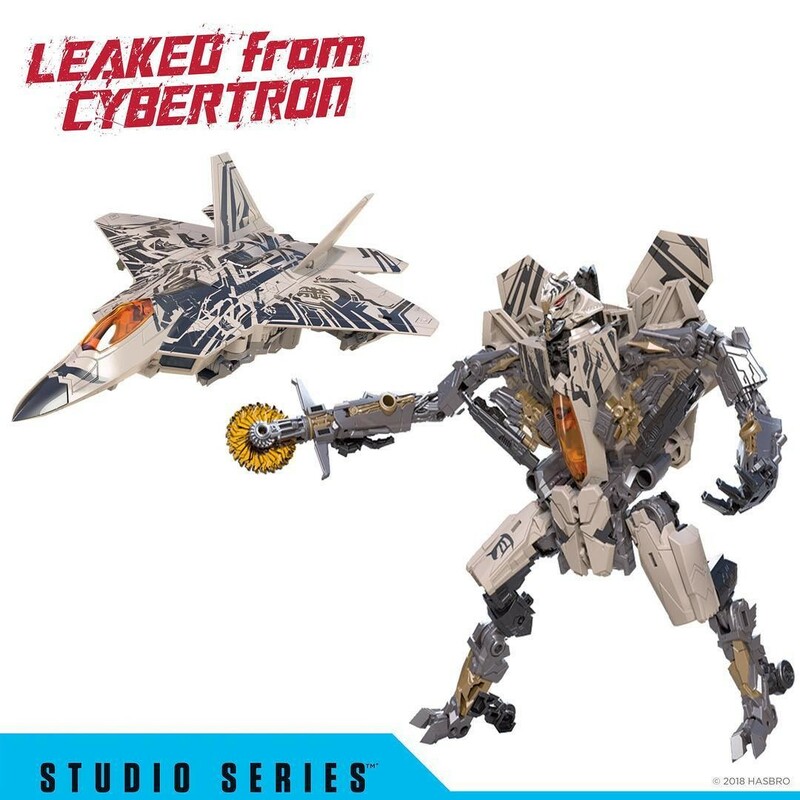 Agent 53 wrote: Ah so the figure representing Starscream that we all kinda knew was gonna show up (It's a new paint-job, nothing more, easy for Hasbro) has been announced. He also comes with the abandoned saw blade accessory the original was intended to come with which I’m very happy about and said “If the tattoo deco comes with it I’m in” and I am. Yes he did. Which be why the Deluxe figure from that film's toyline (that Studio is based on) had the tats. Looks cool! Between the first SS and HFTD Starscreams though I don’t think I need this one. Also, on kind of a cool note, this Starscream has a little Decepticon logo on it in the same spot as the electronics button on HFTD Starscream. It doesn’t look like this is a part of the on-screen tattoos, so it may be a cool reference to the past figure. EvasionModeBumblebee wrote: Looks cool! Between the first SS and HFTD Starscreams though I don’t think I need this one. Also, on kind of a cool note, this Starscream has a little Decepticon logo on it in the same spot as the electronics button on HFTD Starscream. It doesn’t look like this is a part of the on-screen tattoos, so it may be a cool reference to the past figure. That's a neat lil easter egg sorta thing if it is indeed referencing the leader class figure. He should look nice next to Nebular SS. Really tempted here but I don't like the price tag on these it seems. PotP are more well made. 3,672 pages were recently viewed by 632 unique visitors. This page was viewed 1 times on Friday, April 19th 2019 5:48am CDT. © 2019 Seibertron, Inc. DBA Seibertron.com. All Rights Reserved. Established June 2000. Seibertron.com is owned by Ryan Yzquierdo.